6 Do not worry. Learn to pray about everything. 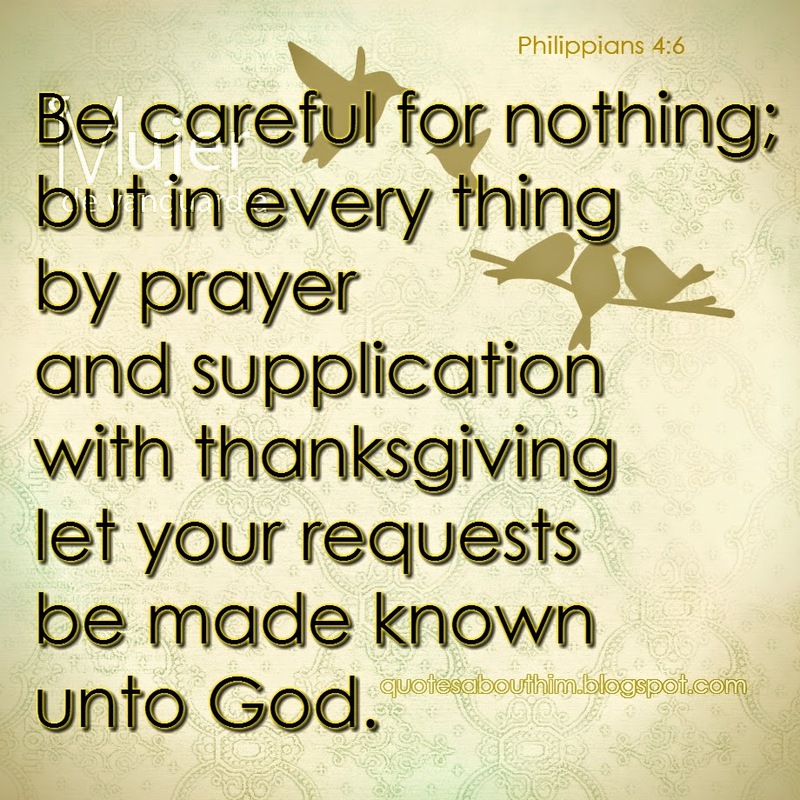 Give thanks to God as you ask Him for what you need.